Hanover, 7 June 2016. As an official sponsor of UEFA EURO 2016TM, Continental is equipping the team and transfer buses that will take the competing teams to the ten host cities all over France with premium bus tyres. In addition to the buses used by the 24 teams who have qualified, the 20 VIP buses provided by specifically selected private transport companies will also run on the specially designed Conti Goal HA3. This exclusive UEFA EURO 2016TM tyre, which is based on the tried-and-tested Conti CityPlus HA3 tyre for regional transportation, was developed by the Continental engineers in Hanover, Germany, especially for this occasion. In size 295/80 R 22.5, Conti Goal HA3 can be fitted to any axle. 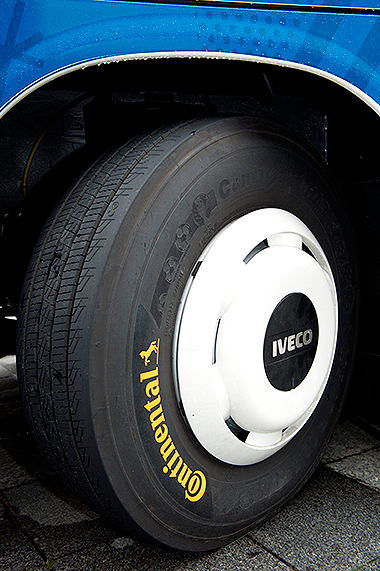 The tread features well-defined longitudinal grooves for optimum handling and wet performance. The combination with deep 3D sipes offers extra grip and consistently reliable braking characteristics throughout the tyre's service life. Together with the special rubber tread compound, the closed side flanks ensure exceptionally pleasant low-noise rolling properties. The stronger side wall structure reduces the flexing energy of the tyre, thereby helping significantly to reduce fuel consumption. The Conti Goal HA3, an exclusive UEFA EURO 2016TM tyre, is based on the tried-and-tested Conti CityPlus HA3 tyre for regional transportation and provides optimum handling and wet performance for a safe trip to and from the ten host cities. In size 295/80 R 22.5, Conti Goal HA3 can be fitted to any axle. "The sophisticated performance properties and high level of reliability of Conti Goal HA3 will ensure that the 24 teams enjoy safe and comfortable travel. 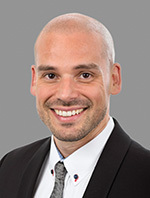 As a result, Europe's top footballers can get to their 51 fixtures on time and football fans all over the world can enjoy an unforgettable tournament," explains Geert Roik, head of global Research & Development Commercial Vehicle Tires at Continental. "What distinguishes the Conti Goal HA3 tyres from the basic Conti CityPlus HA3 product line are the numerous football pictograms in different sizes, the official logo of UEFA EURO 2016TM and the orange Continental logo on the newly designed side walls," continues Roik. The newly designed side walls of the exclusive Conti Goal HA3 feature numerous football pictograms in different sizes, the official logo of UEFA EURO 2016TM and the orange Continental logo. 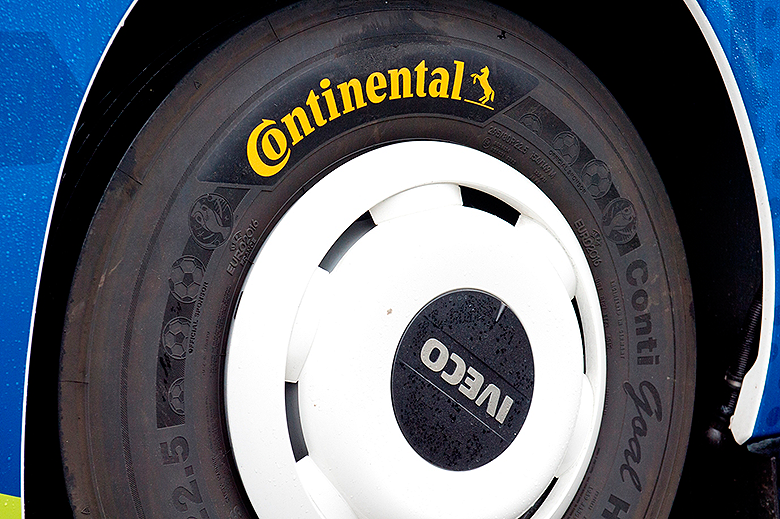 Throughout UEFA EURO 2016TM, from the opening match on 10 June to the final on 10 July in Paris, tyre servicing and maintenance on all 44 buses fitted with Conti Goal HA3 in size 295/80 R 22.5 will be the responsibility of Continental's FleetPartner network. FleetPartner is currently the biggest association for the provision of tyres and services for car and truck fleets in Europe and part of the Conti 360°FleetServices network. The three partners that form FleetPartner – BestDrive, Eurotyre and Siligom°– run more than 550 service stations throughout France and almost 900 response vehicles and 2,400 sites throughout Europe.